West Coast Classics are proud to present an absolutely exceptional example of this classic 1988 Jaguar XJS 5.3L V12 rare 'Hess & Eisenhardt' convertible roadster with only 22K original miles in it's original factory 'Grenadier Red' color with 'Barley' trim and which was owned since new by only one family owner (passed from father to son in 2009) and obviously always garaged and covered! 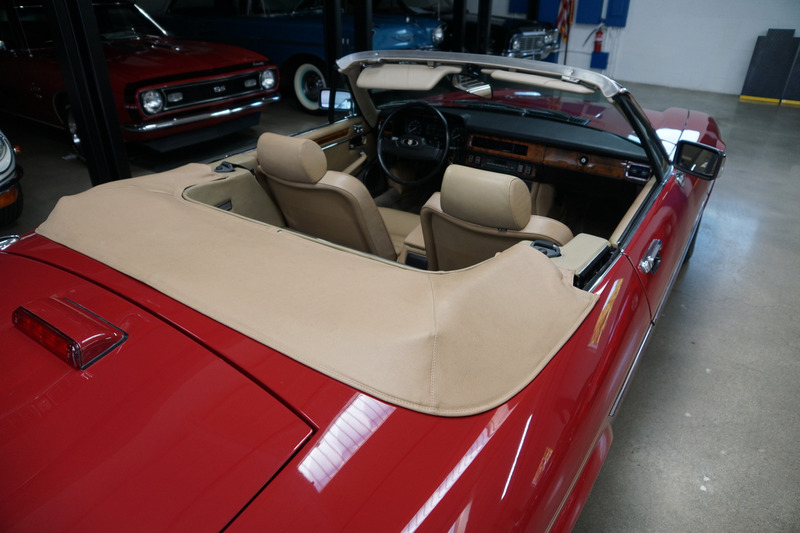 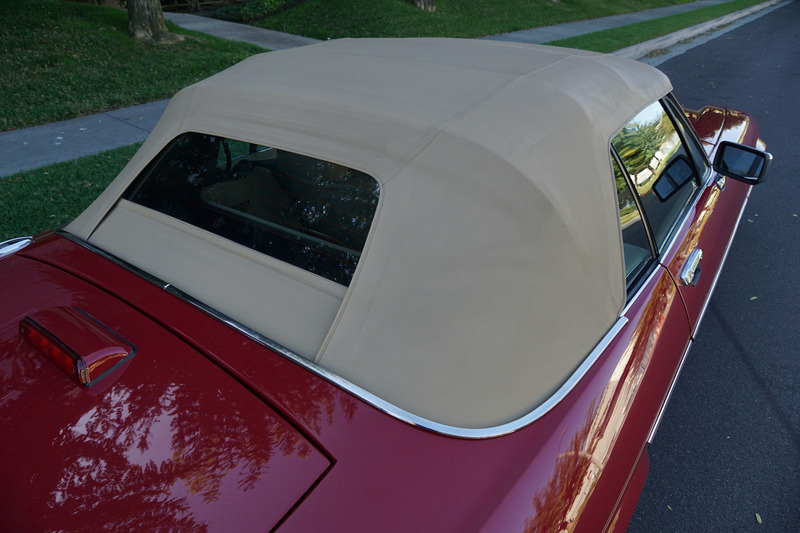 Gorgeous combination of stunning original factory 'Grenadier Red' color paint (Color Code CEH) with striking original factory alloy wheels and beautiful doeskin 'Barley' (Trim Code AFW) leather interior and it's original matching 'Barley' power soft top and tonneau cover! This particular car must be seen to be truly appreciated! Virtually flawless and a real head-turner! for a total out the door cost of over $55K in 1988, which would amount to over $120K according to CPI inflation calculator in 2019 dollars! 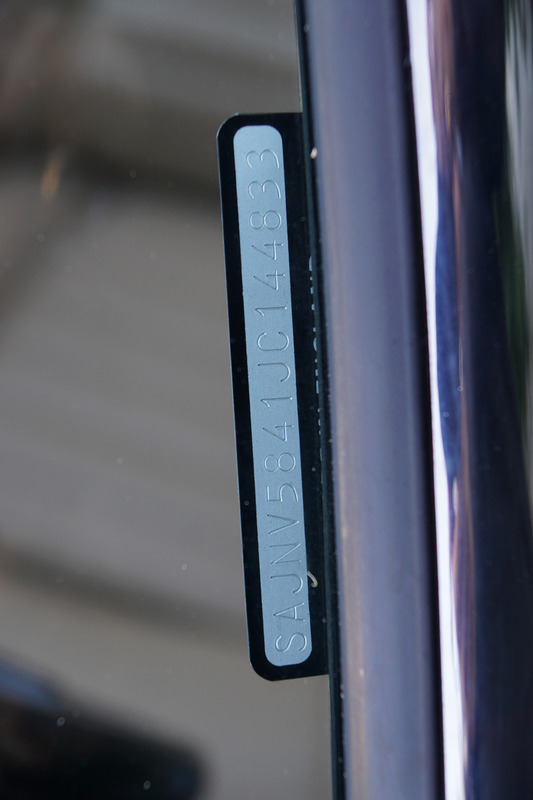 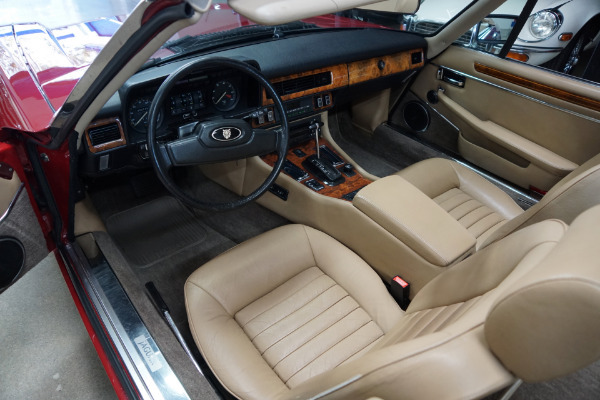 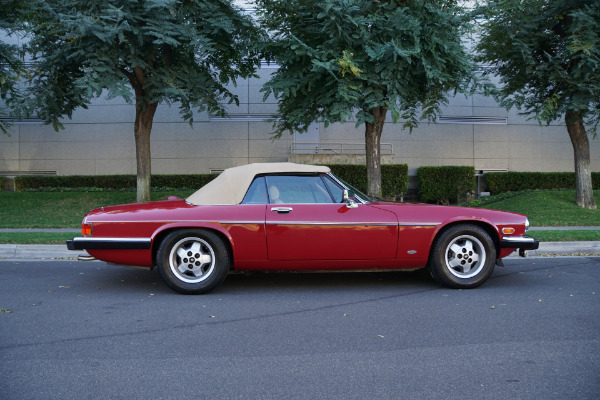 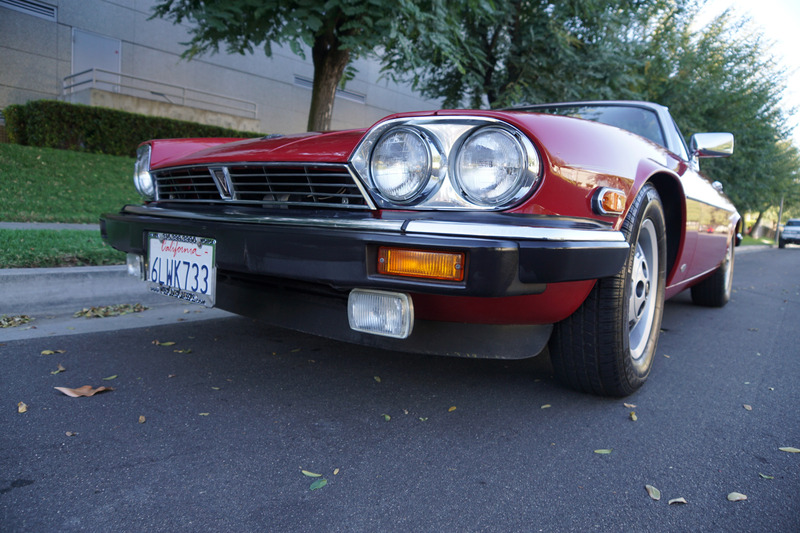 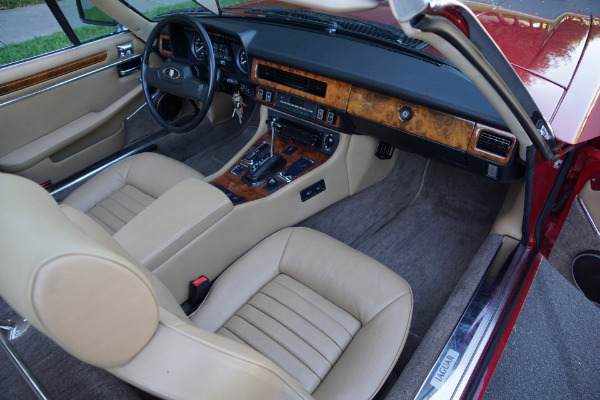 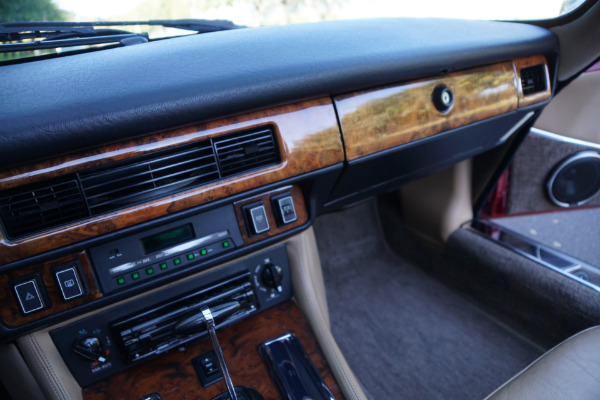 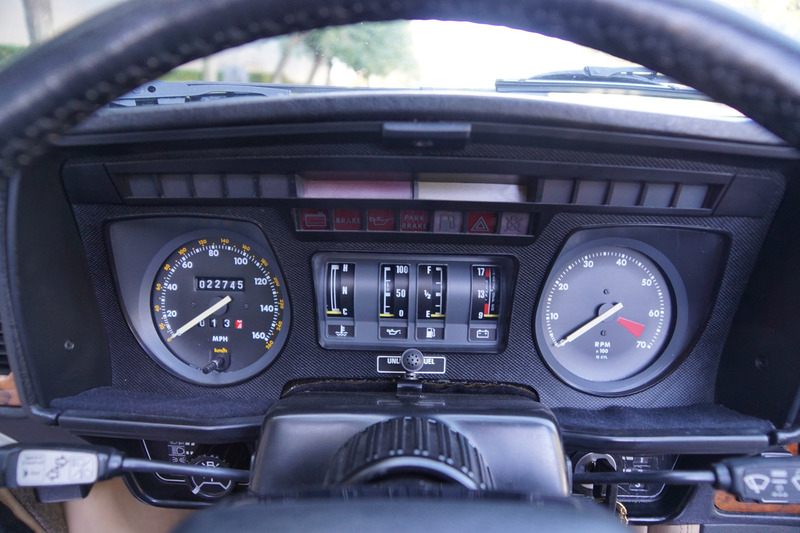 The ostensible 'sports car' replacement for the legendary E-Type but built on a shortened XJ sedan chassis, the beautifully and quite uniquely styled XJS was a nod to the classic GT coupes. 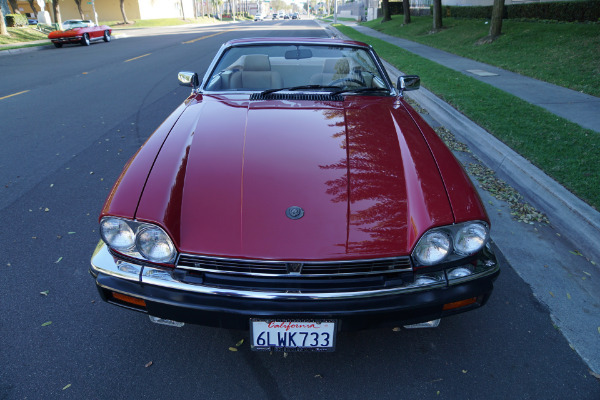 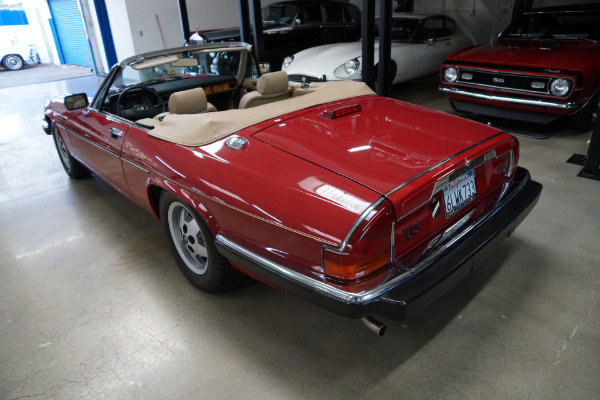 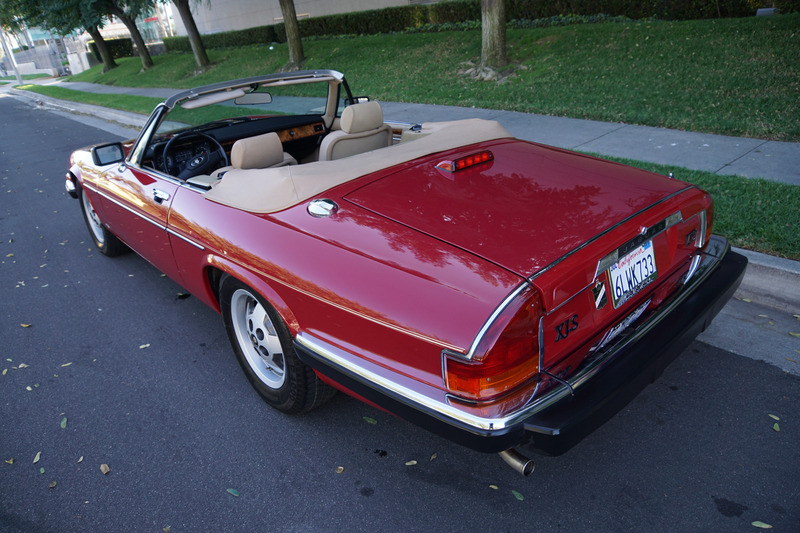 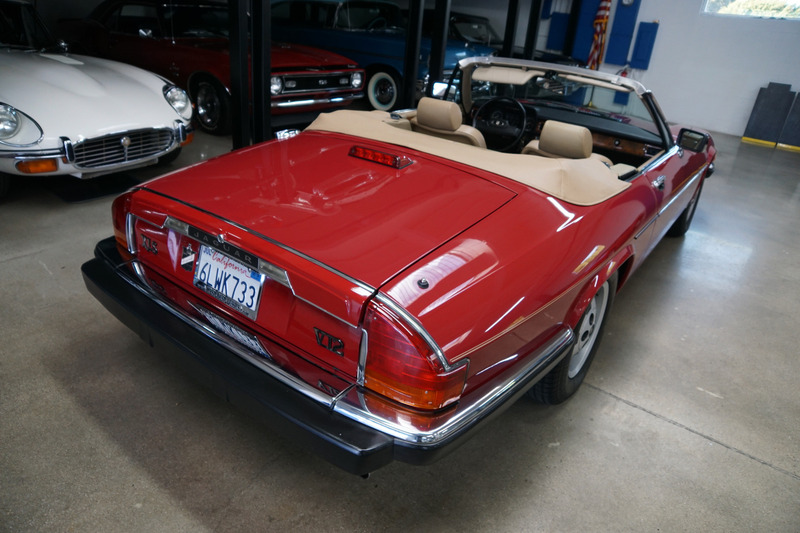 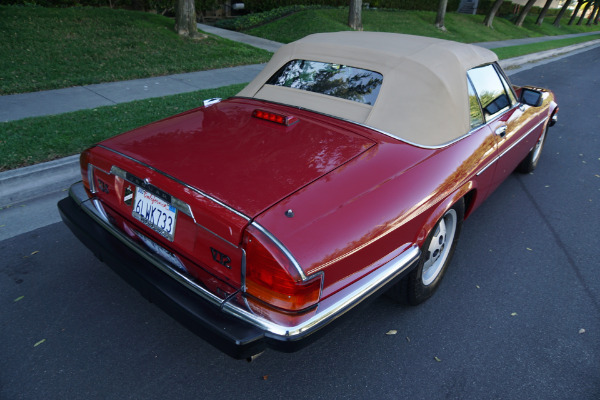 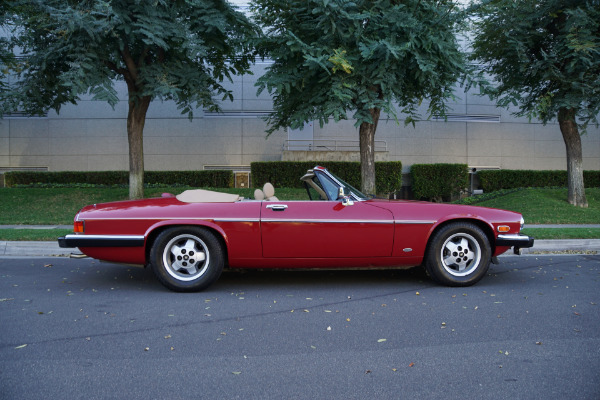 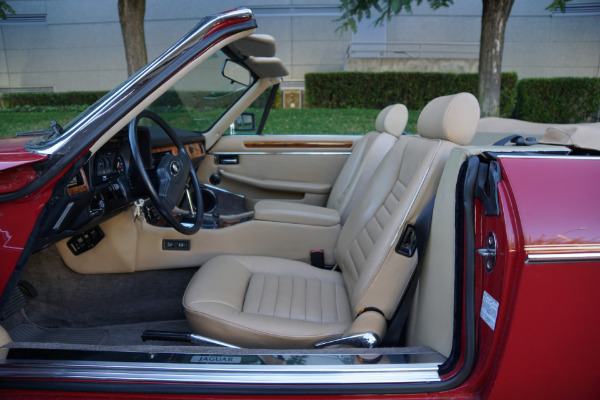 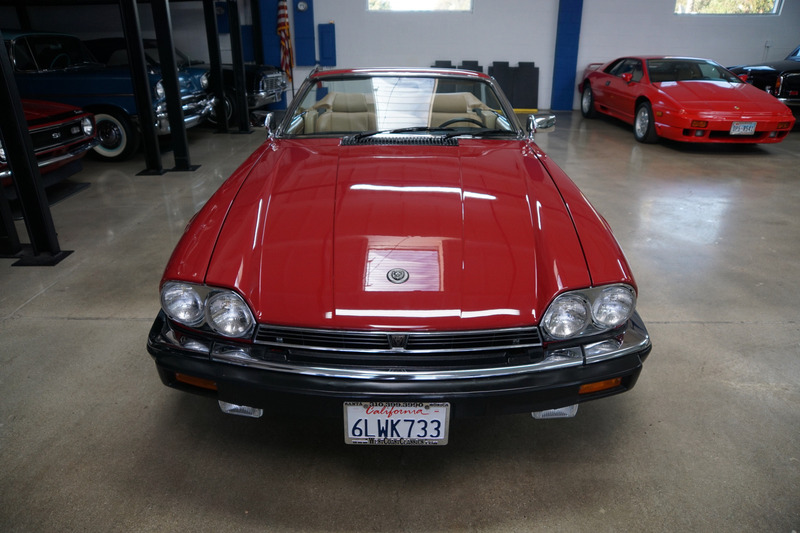 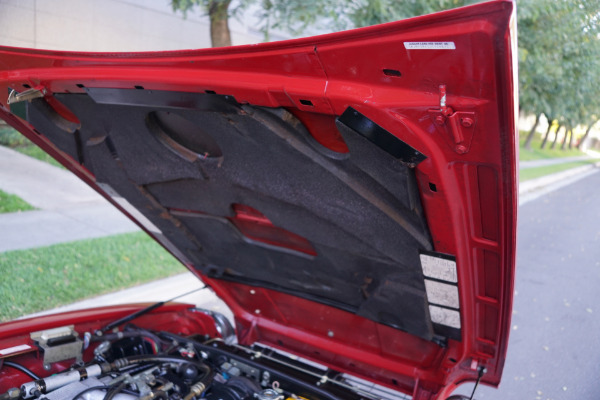 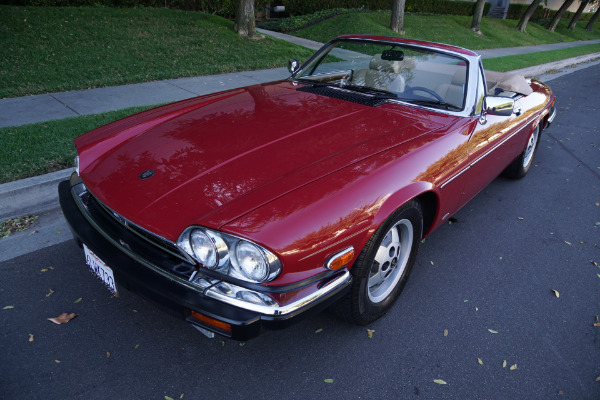 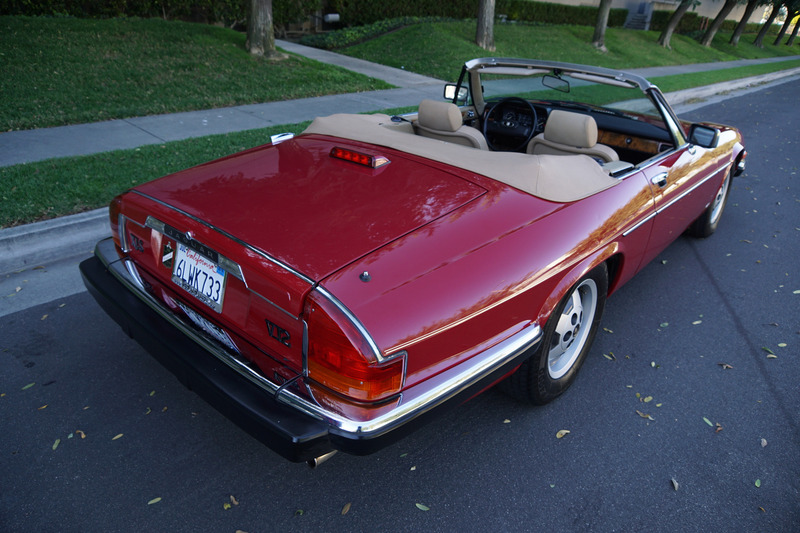 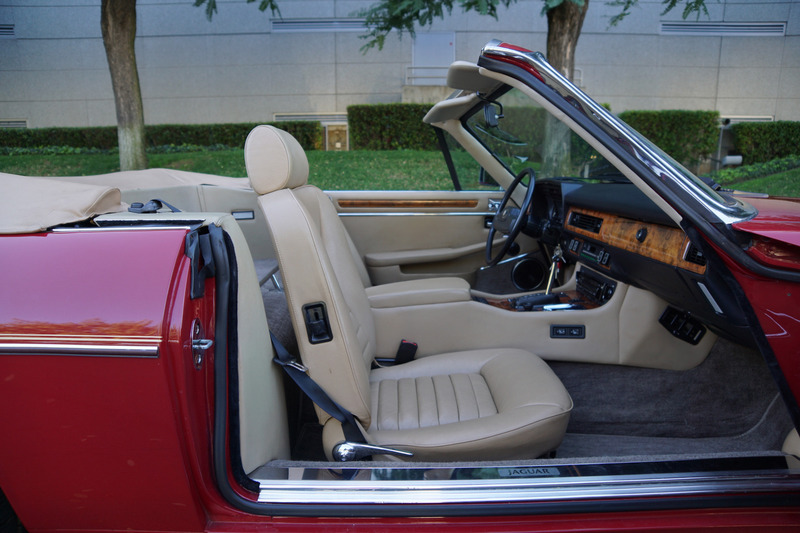 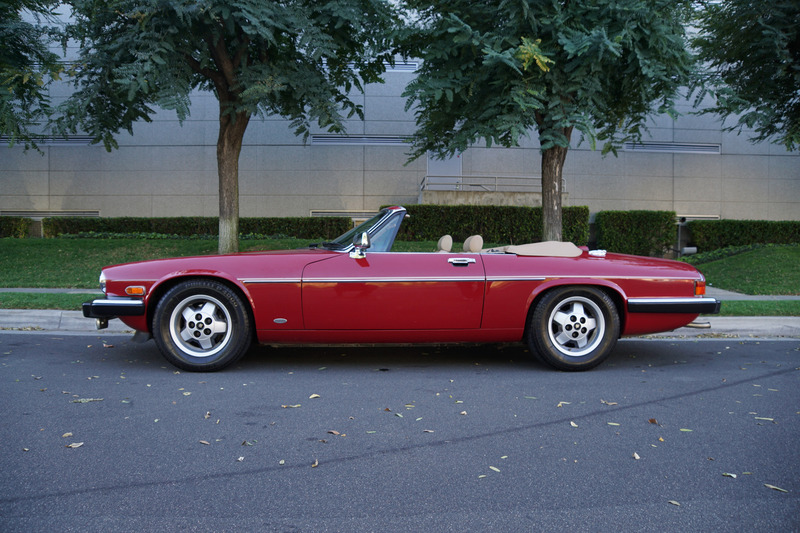 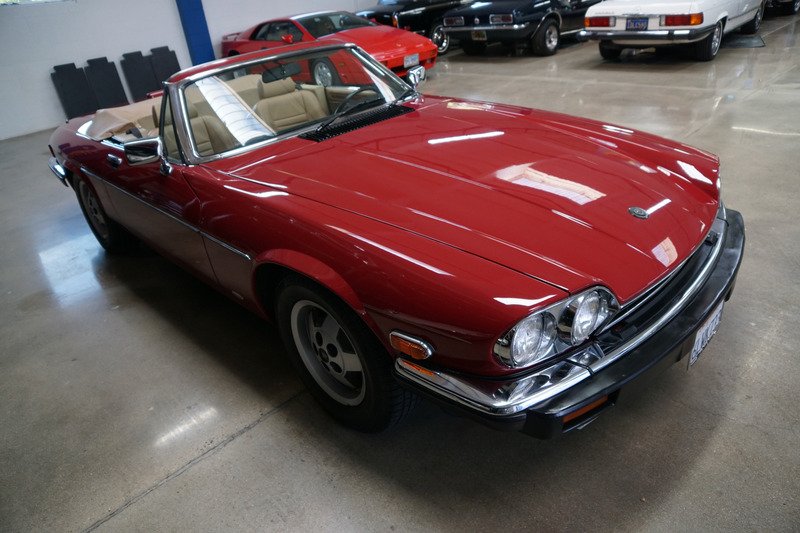 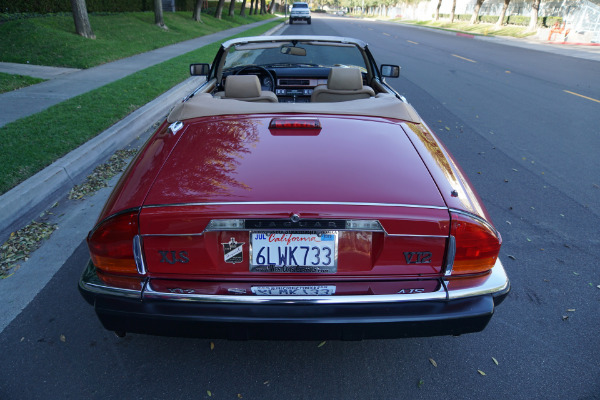 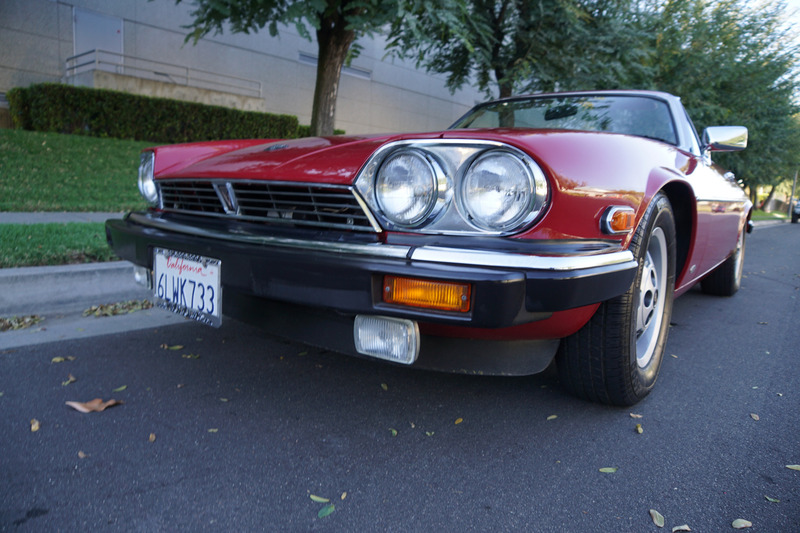 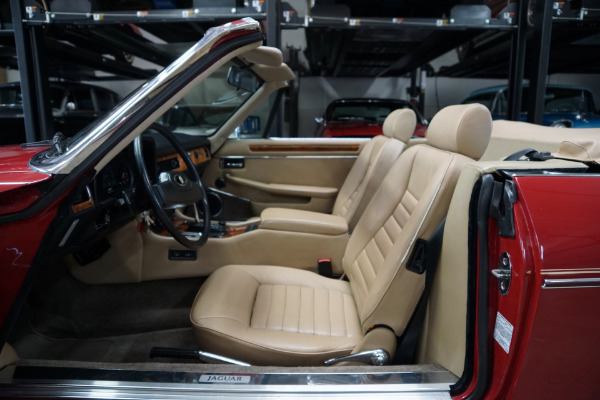 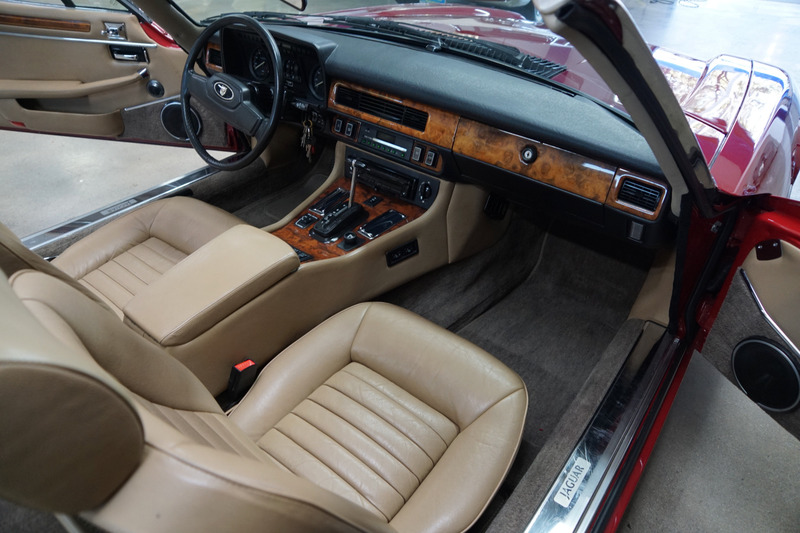 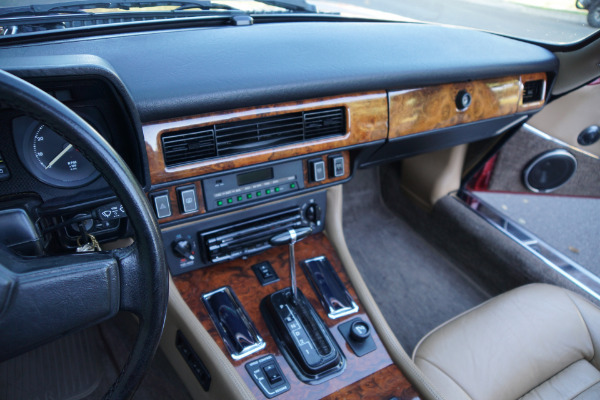 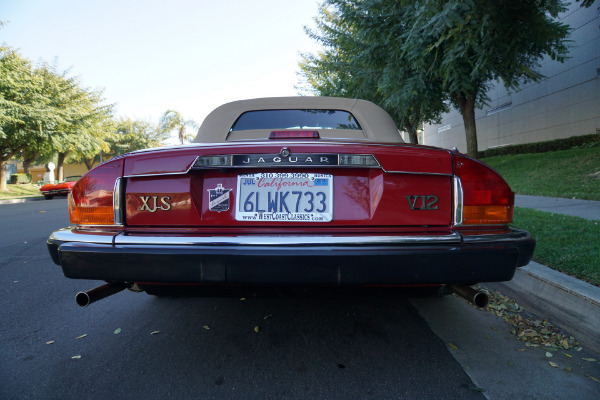 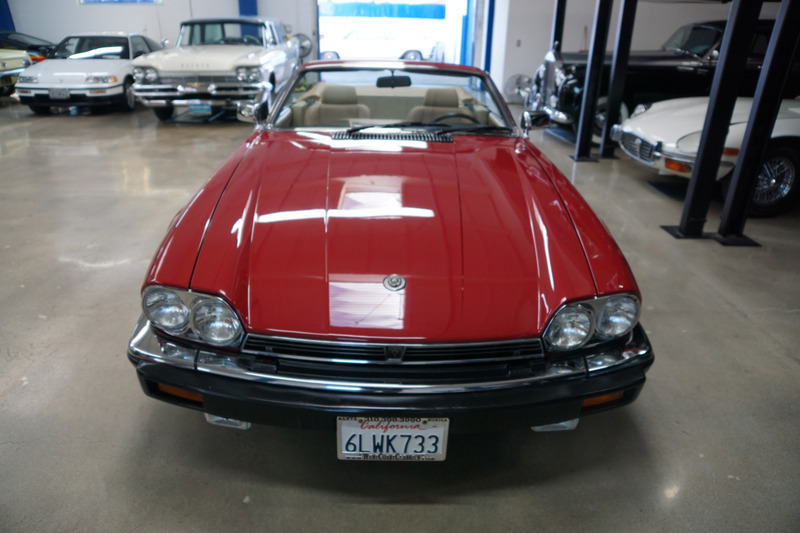 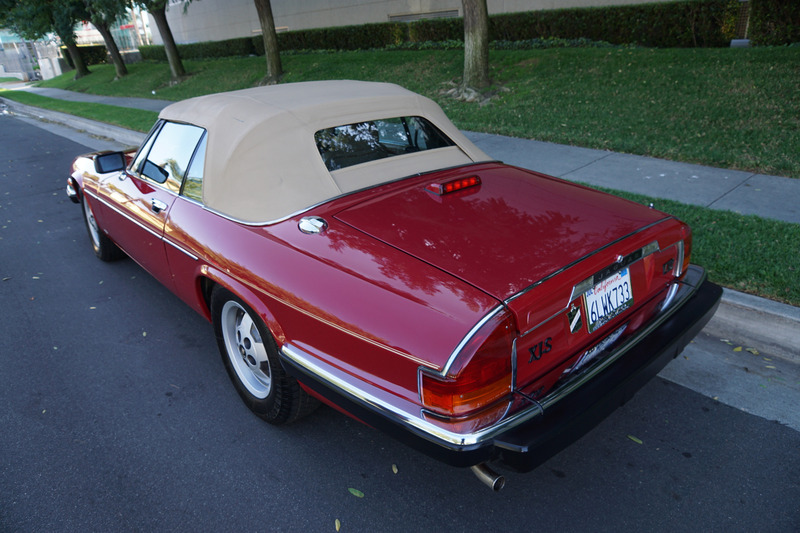 Originally introduced as coupes in 1986, the Jaguar XJS-C, a Cabriolet was introduced in 1986 with a T-Bar structure and removable roof panels, and not until coupe conversions by 'Karmann' in Europe and 'Hess & Eisenhardt' in the U.S.was a convertible available. 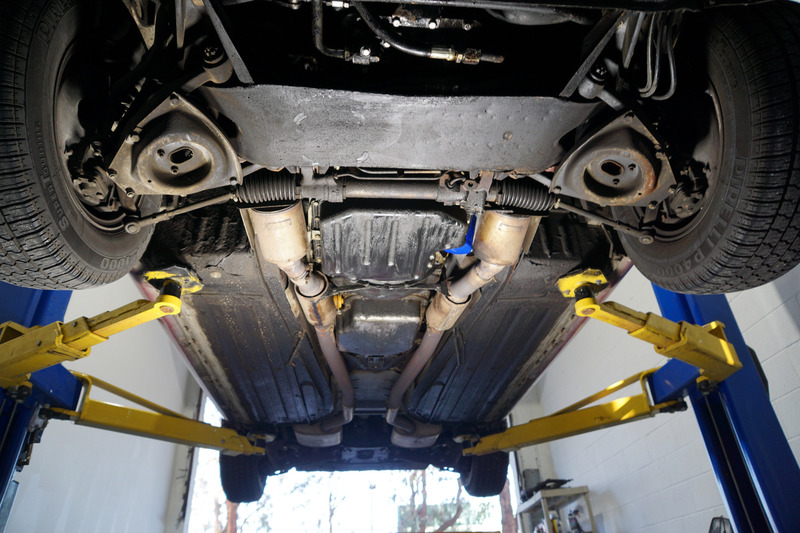 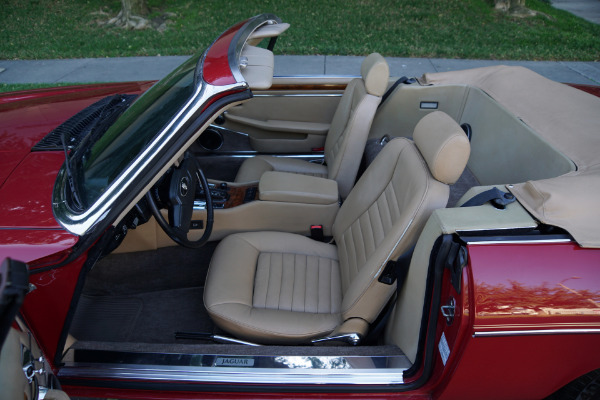 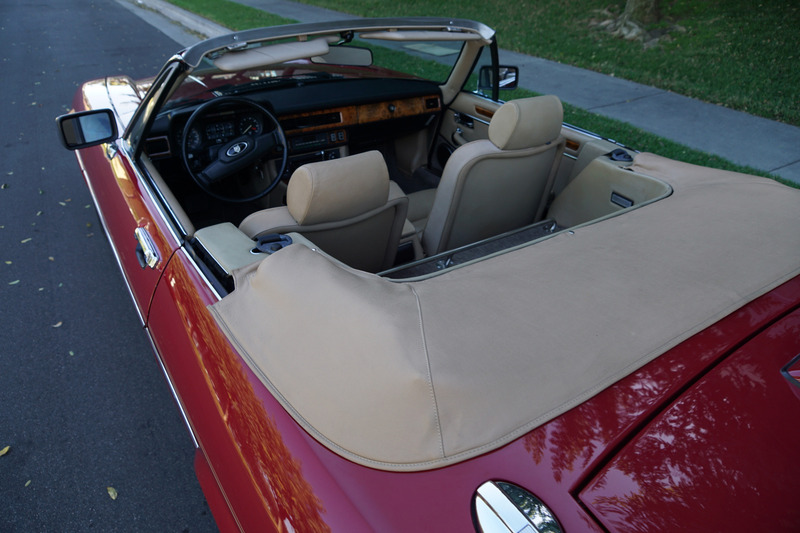 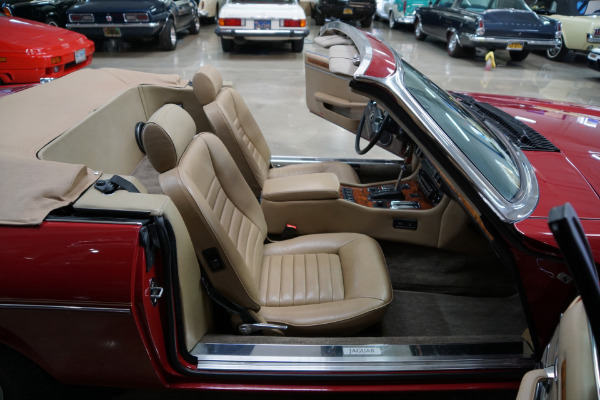 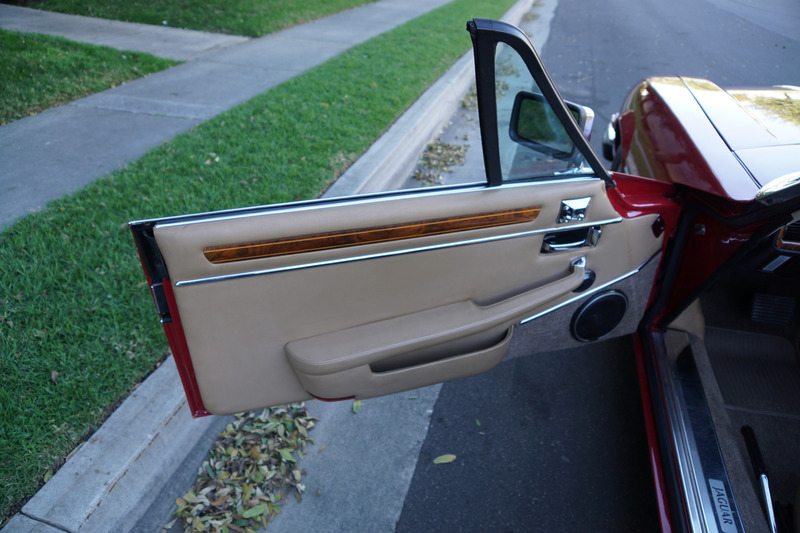 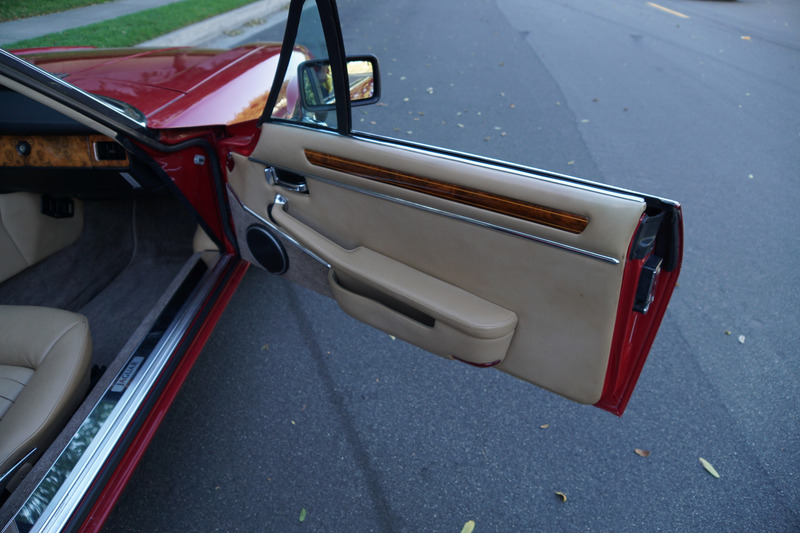 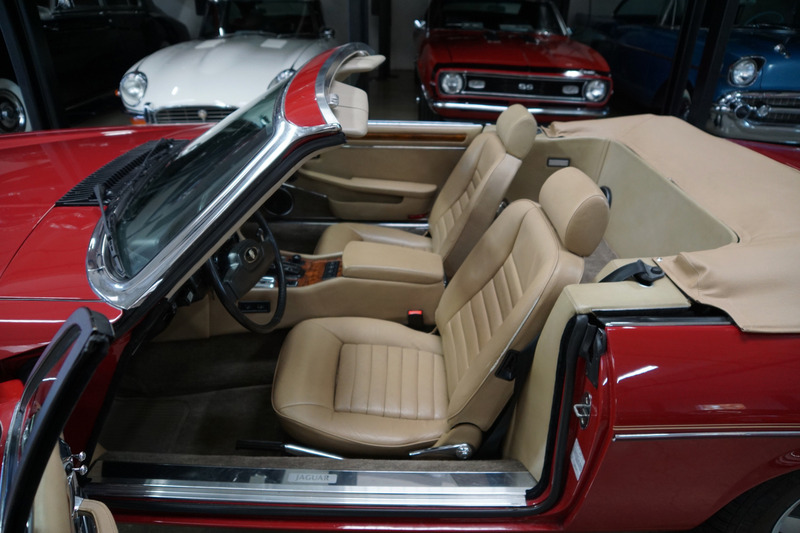 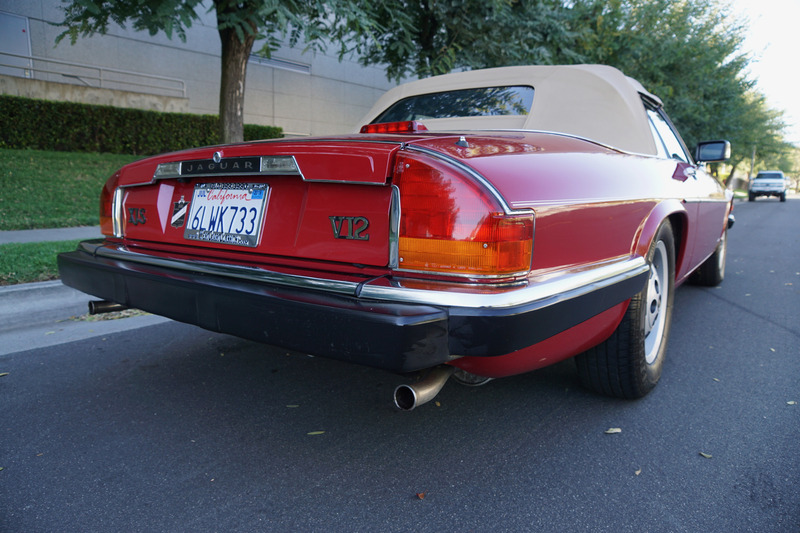 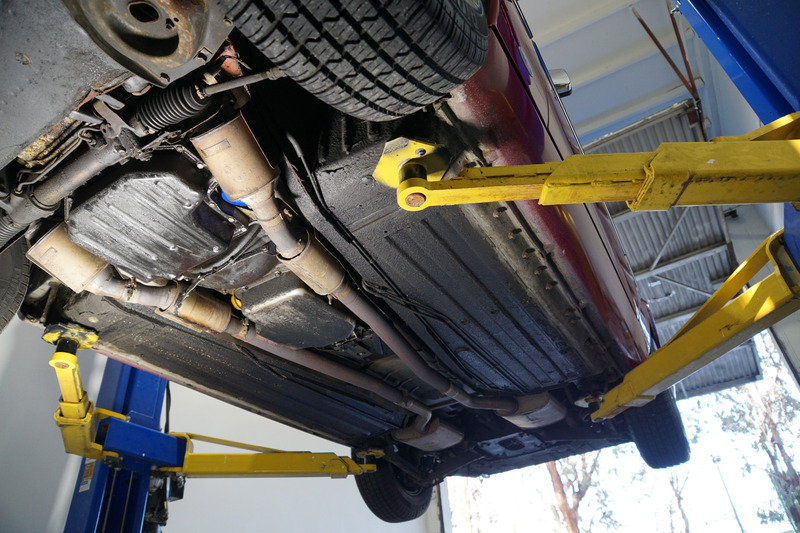 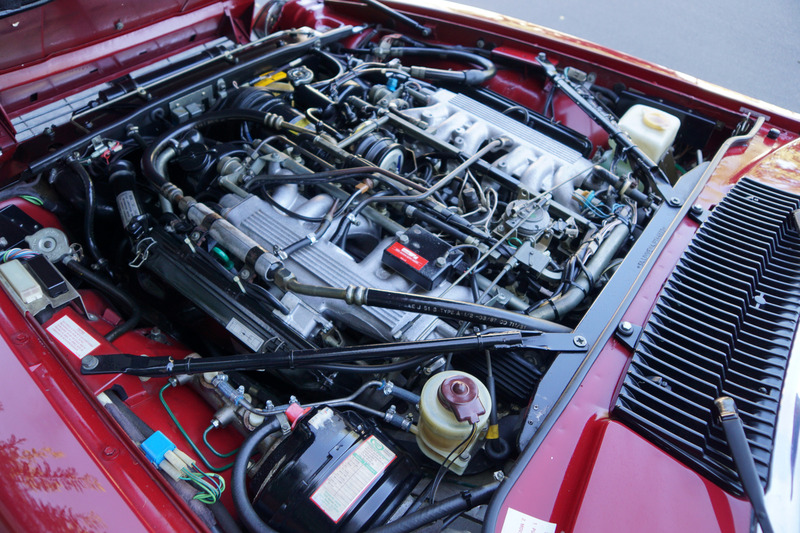 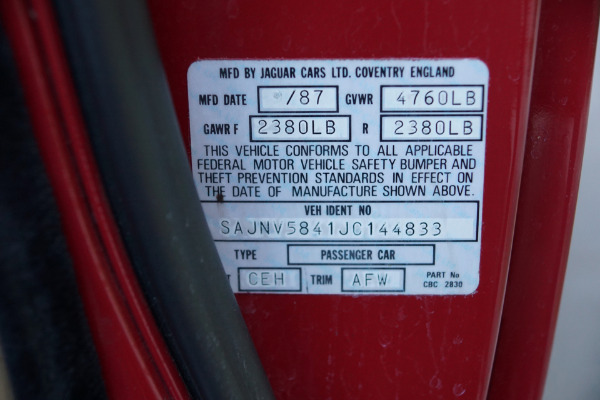 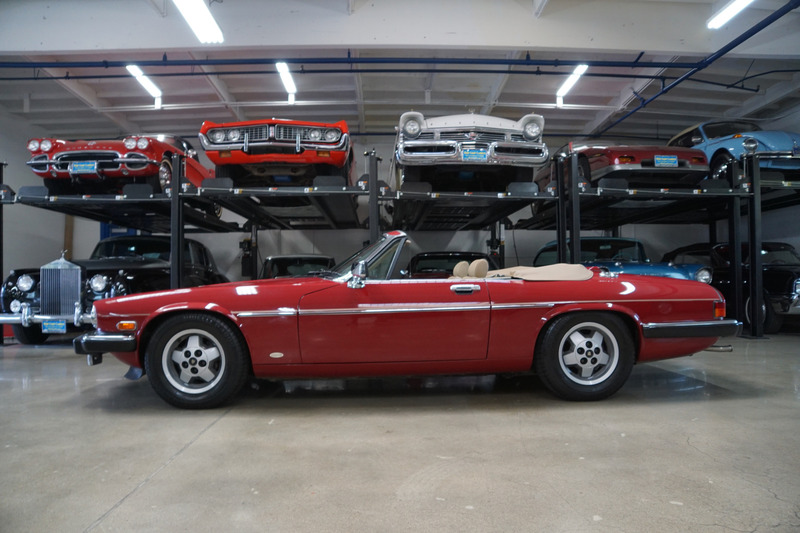 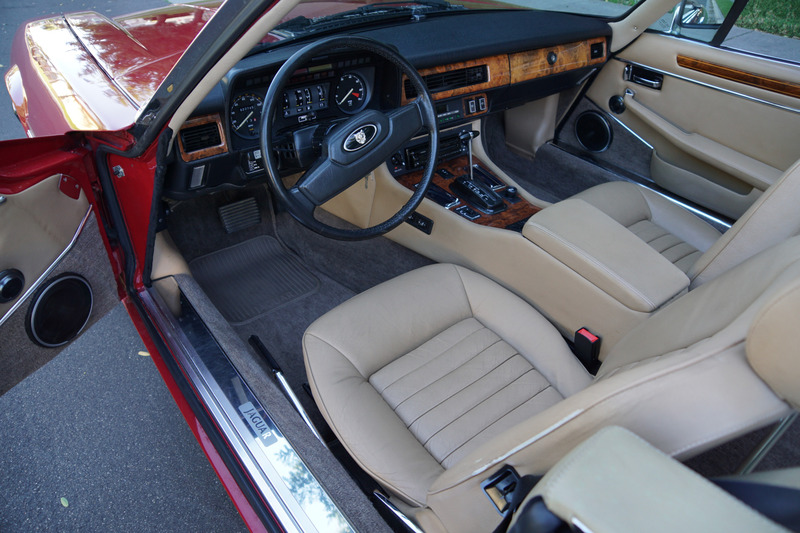 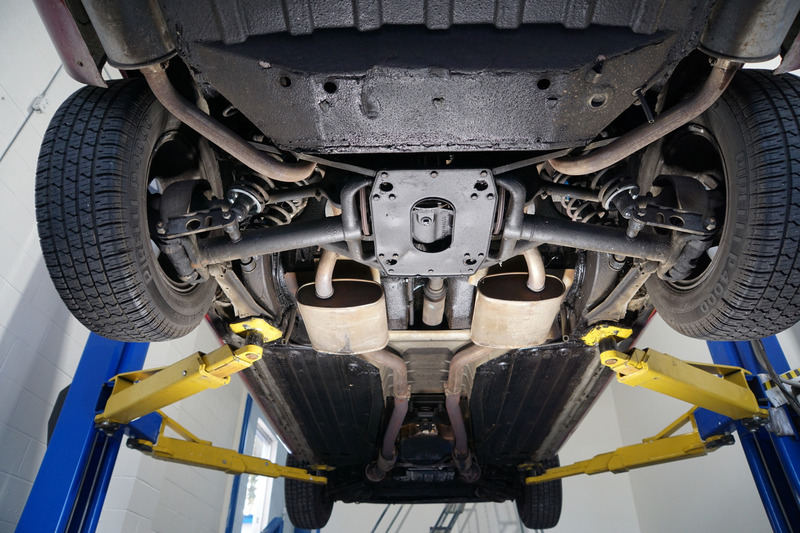 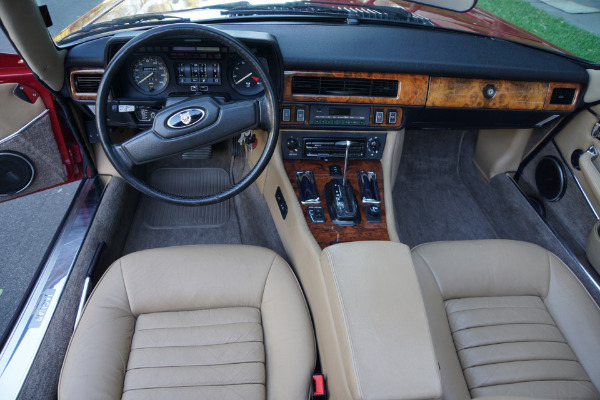 Impressed by the convertible conversions, Jaguar began production on a factory built convertible in late 1989. Founded in 1876 in Ohio, the legendary 'Hess & Eisenhardt' Coachbuilders were the exclusive firm commissioned by Jaguar with the convertible modification and could be ordered by special order through select Jaguar dealerships. 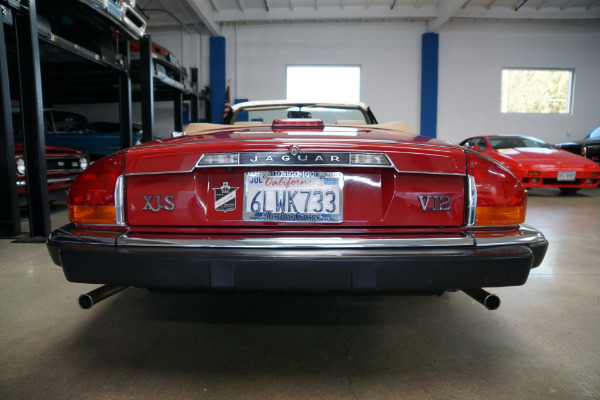 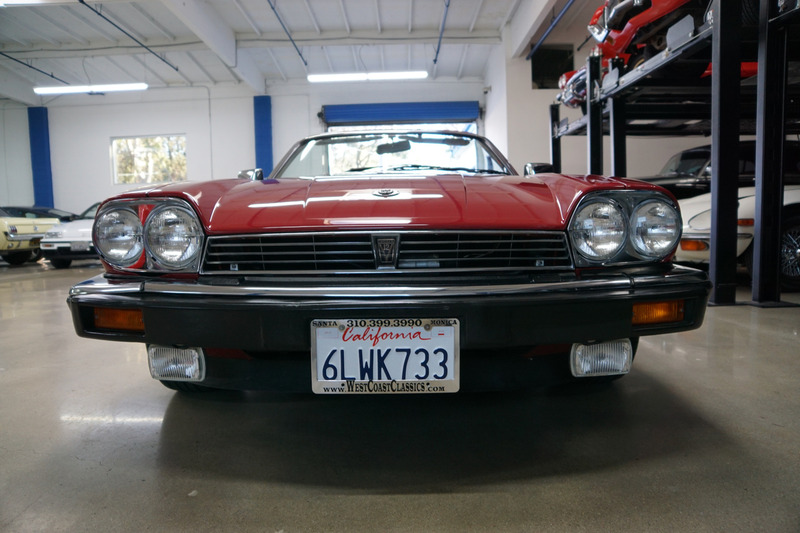 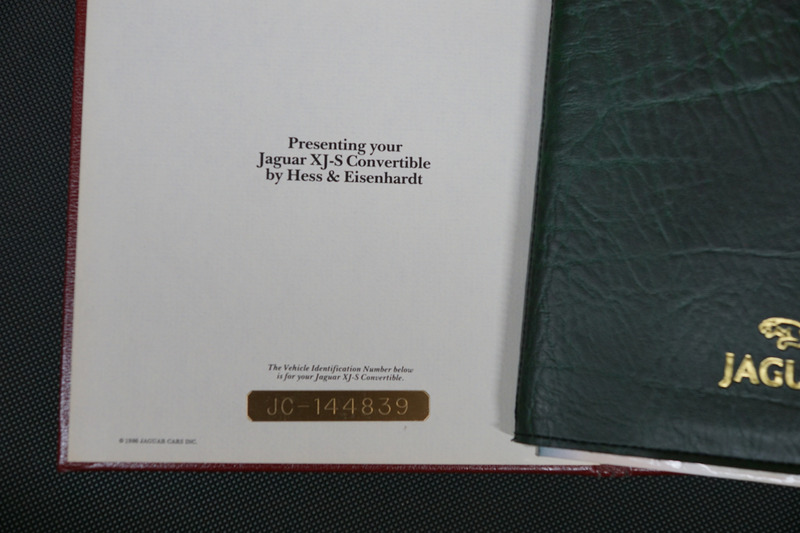 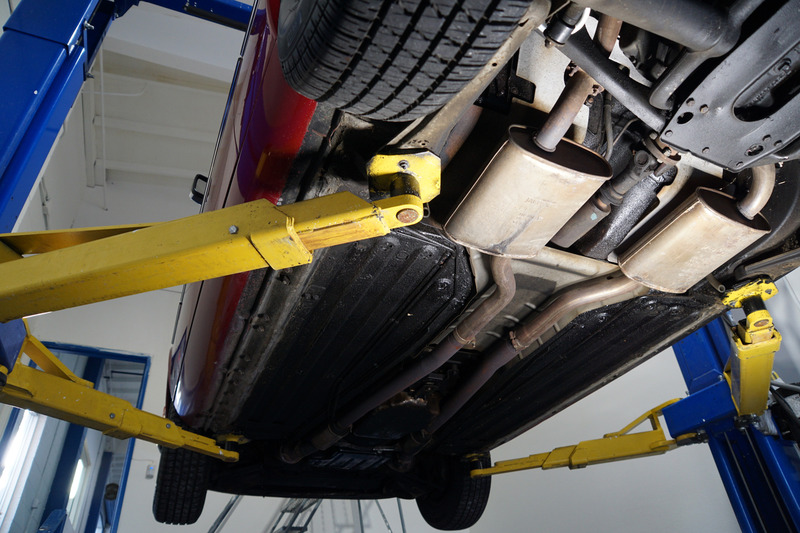 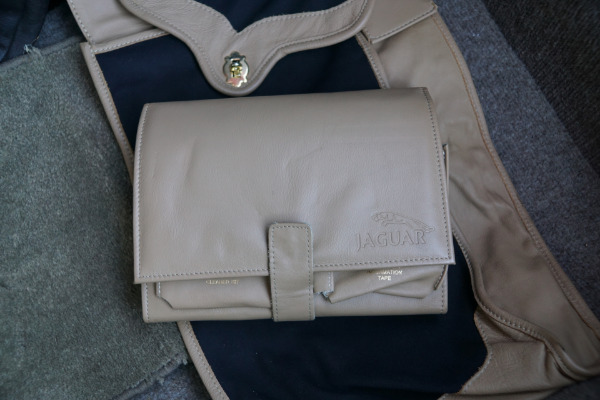 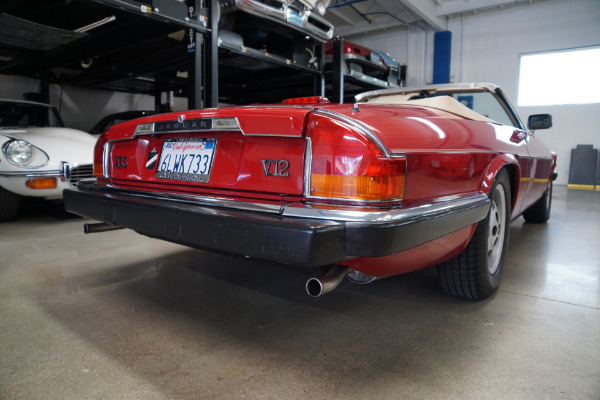 'Hess & Eisenhardt' reportedly built only 893 of these rare prototypes under contract from Jaguar before the official Browns Lane factory built XJS rolled of the factory line in late 1989. 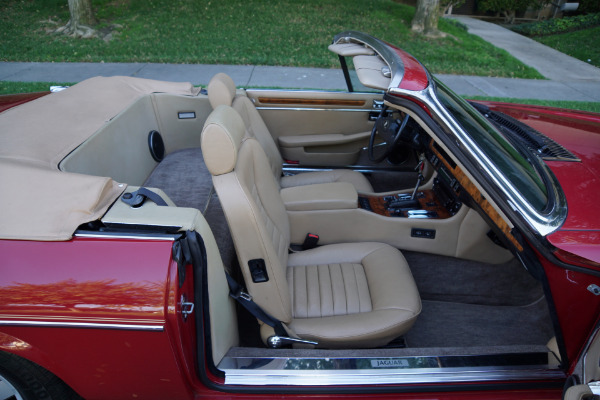 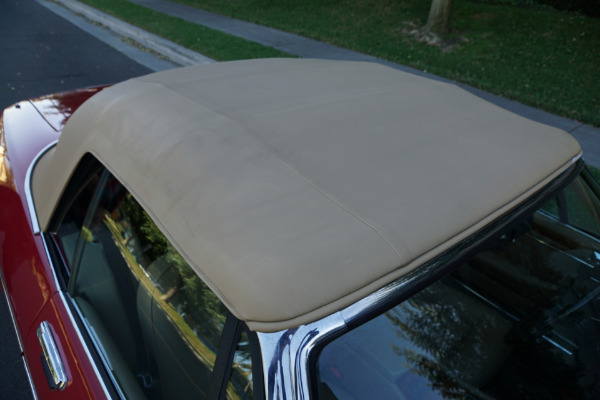 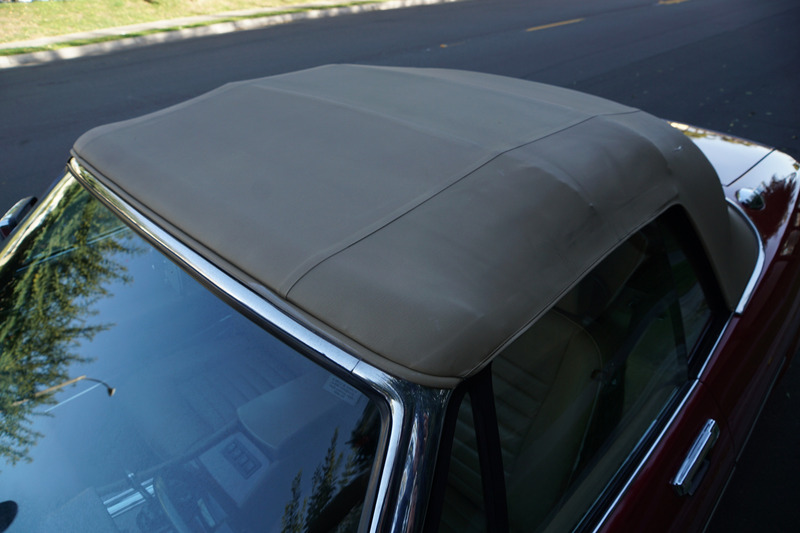 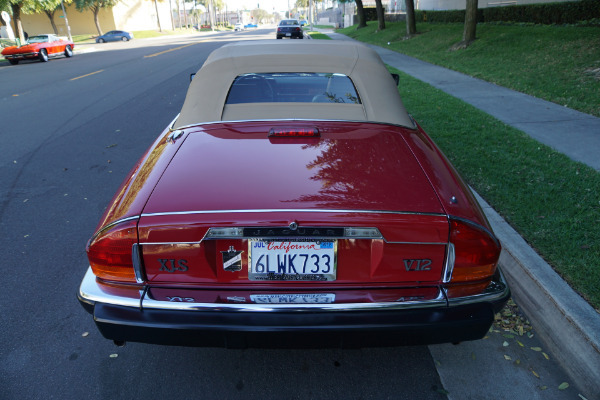 The 'Hess & Eisenhardt' convertible XJS differed quite markedly from the later factory XJS as its unpadded top folded deeper into the body of the car structure which as most enthusiasts will agree resulted in an arguably way more streamlined and less bulky and attractive rear profile when the roof is lowered. 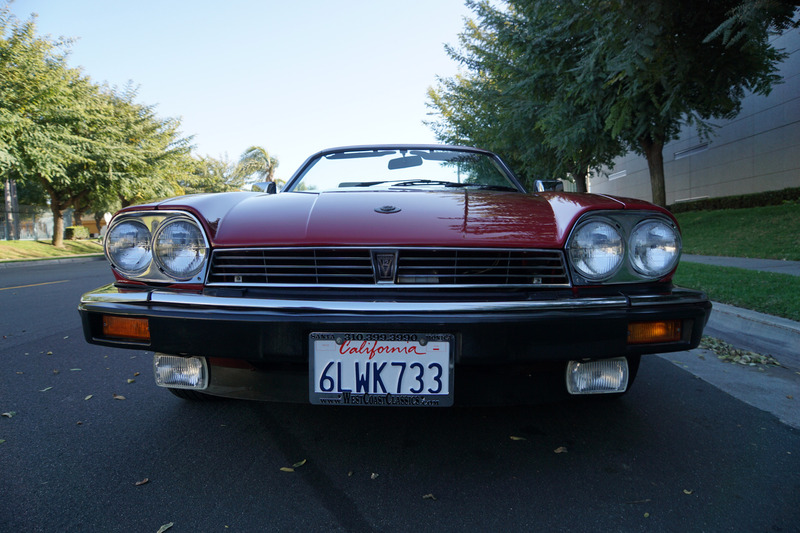 Obviously always garaged with absolutely no rust and no accidents, owned by only one obviously very careful and mature family owner since new - never abused, babied all the way! The original factory and simply stunning 'Grenadier Red' color paint is in truly excellent condition as is the original 'Barley' color leather seats interior, which is in as outstanding condition as the exterior, with virtually no signs of any wear with the door panels, headliner and the carpets also virtually flawless throughout. 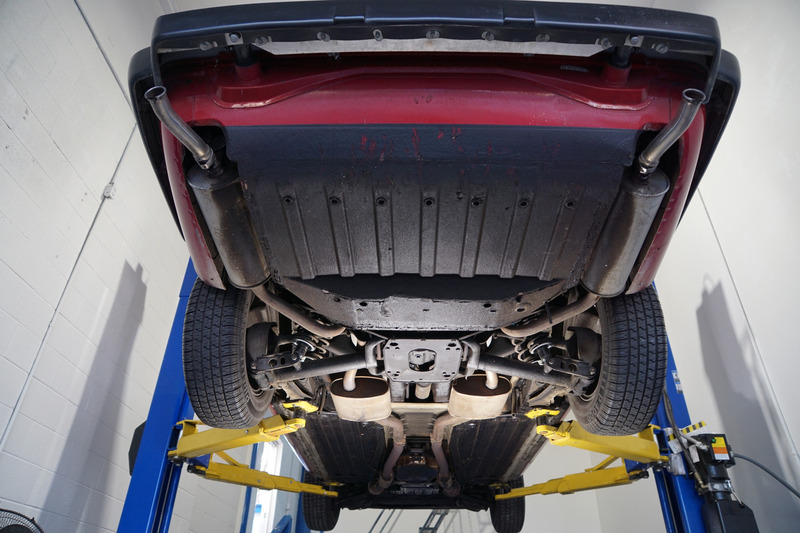 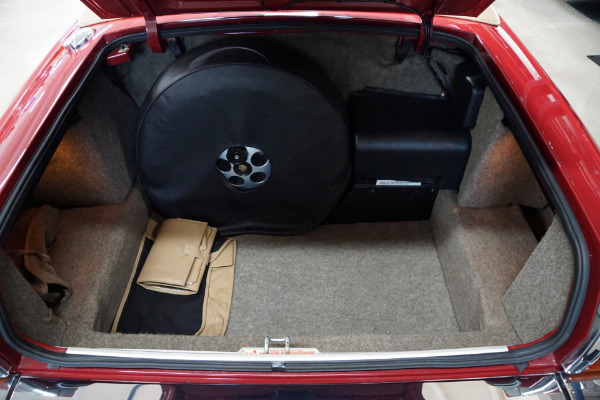 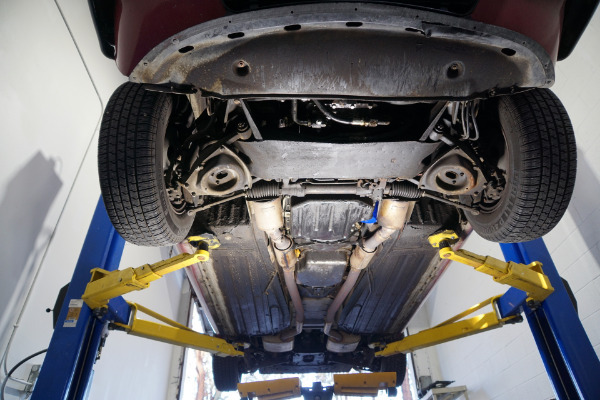 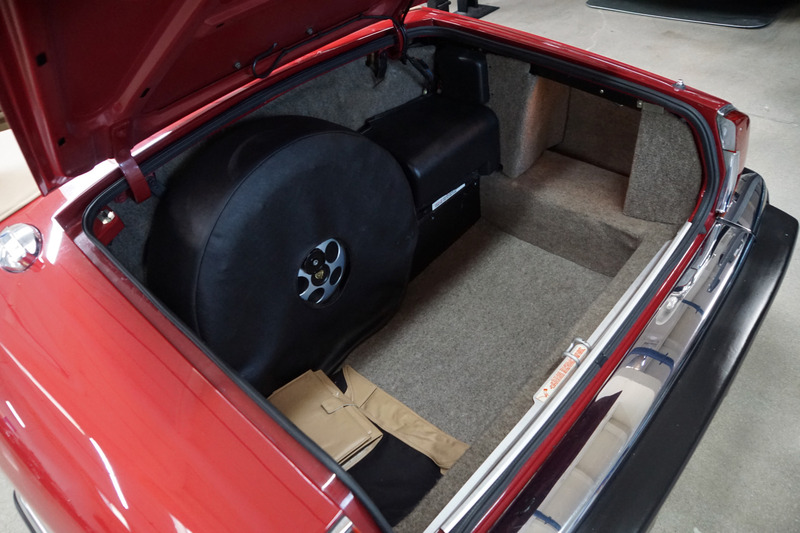 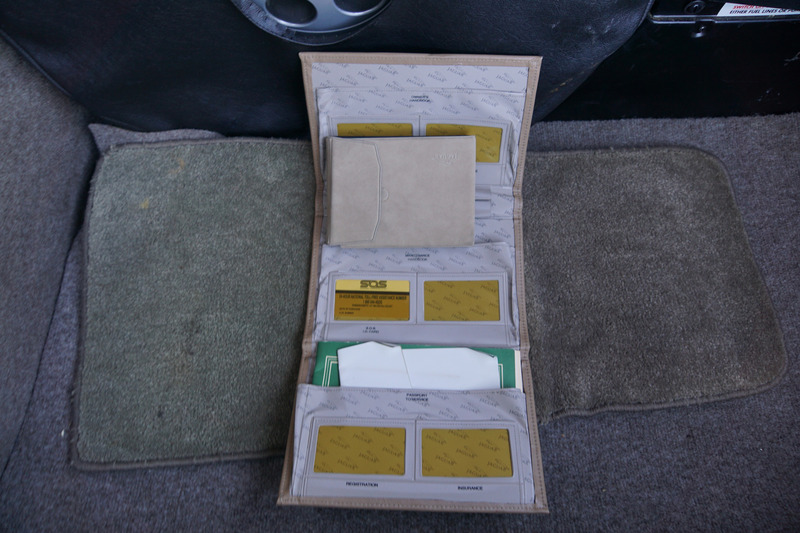 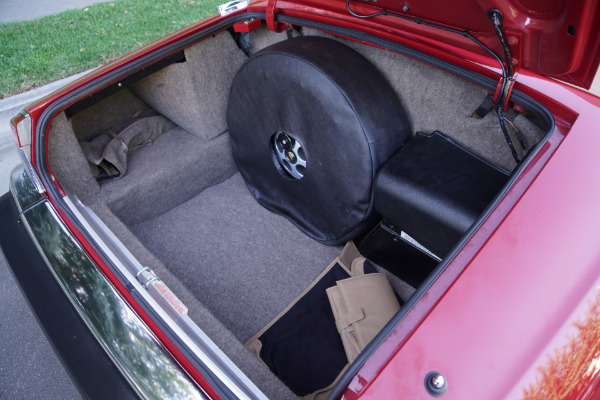 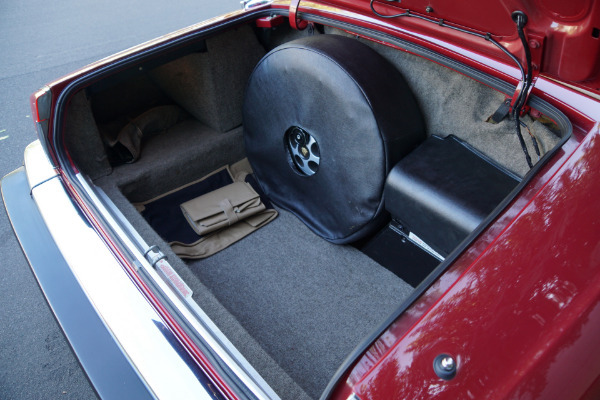 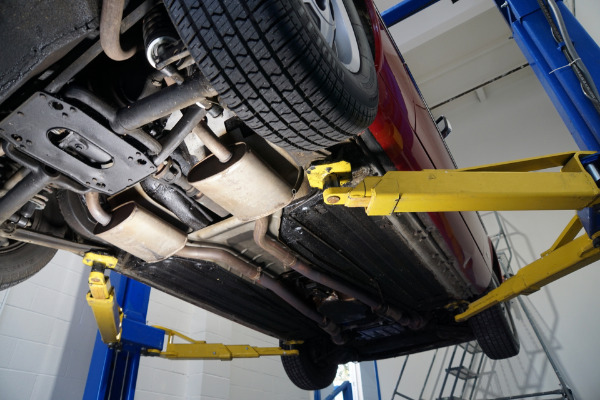 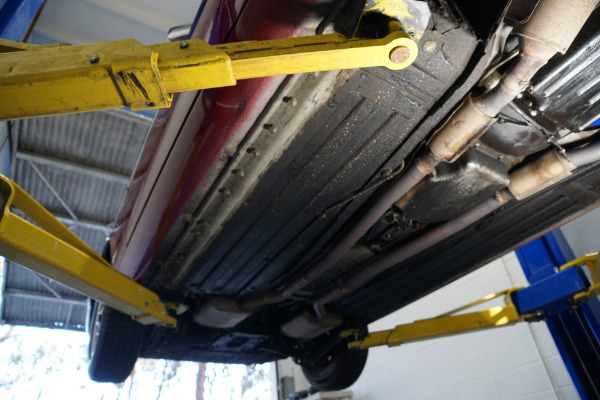 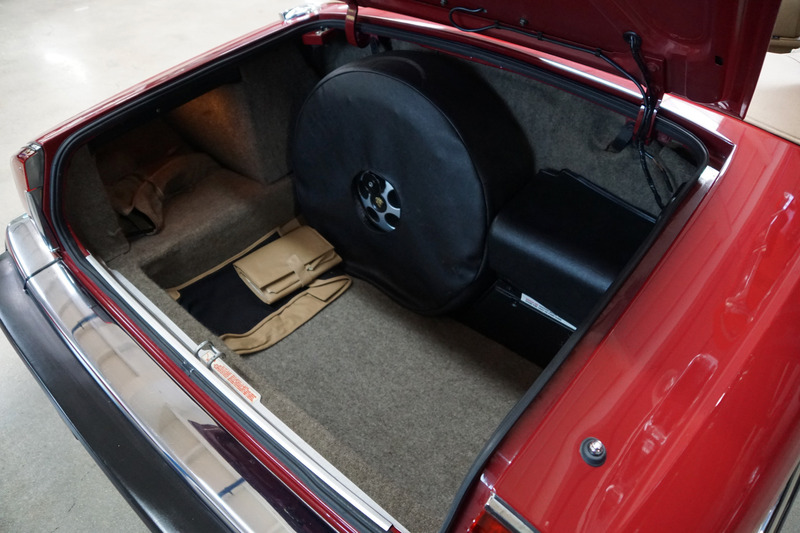 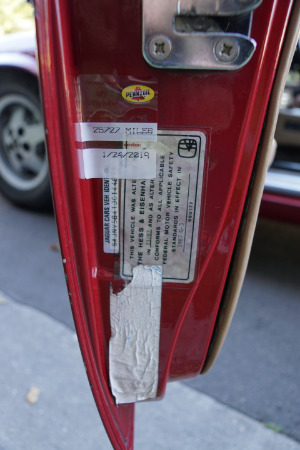 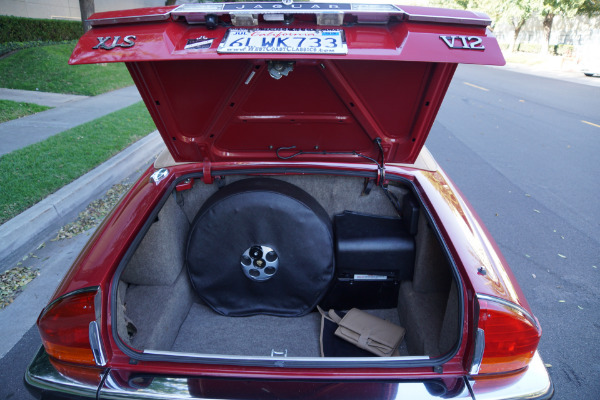 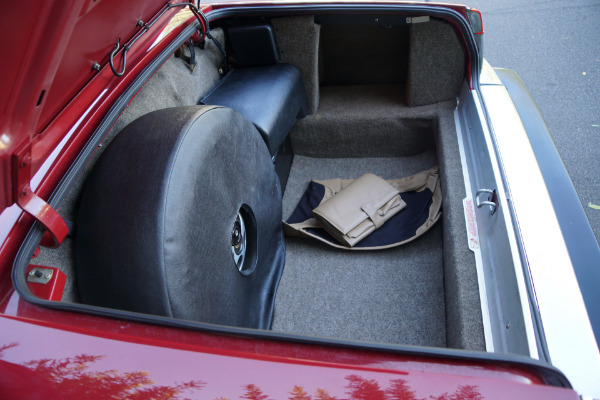 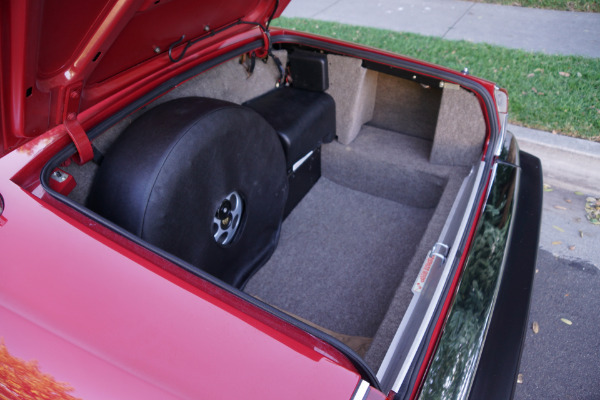 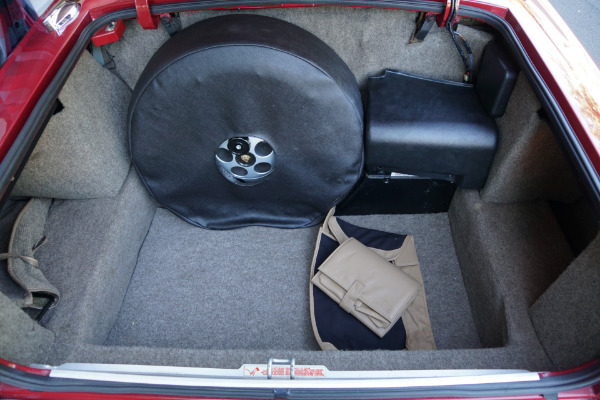 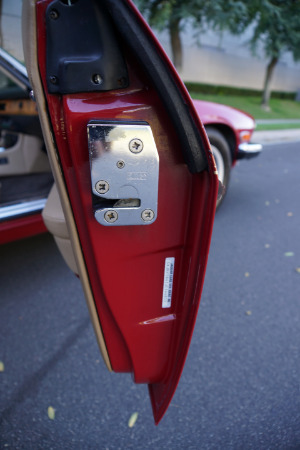 The cars original spare wheel is unused and has never left its trunk compartment. 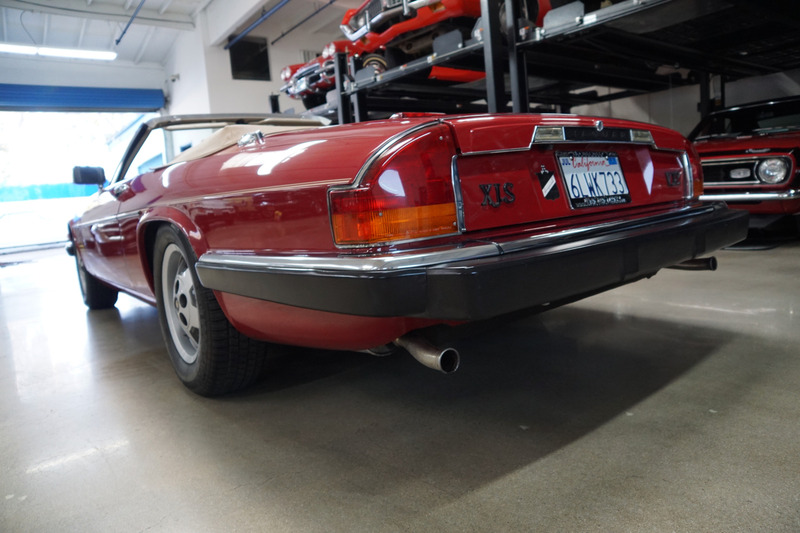 Powered by one of the finest, race proven engines built by Jaguar, the smooth 5,344 c.c. 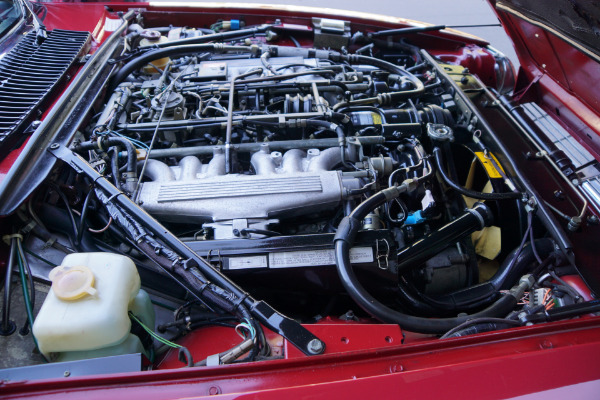 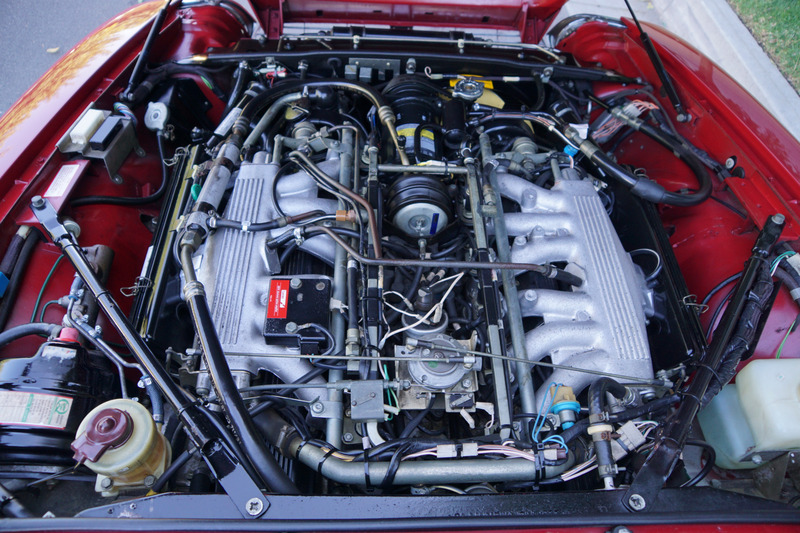 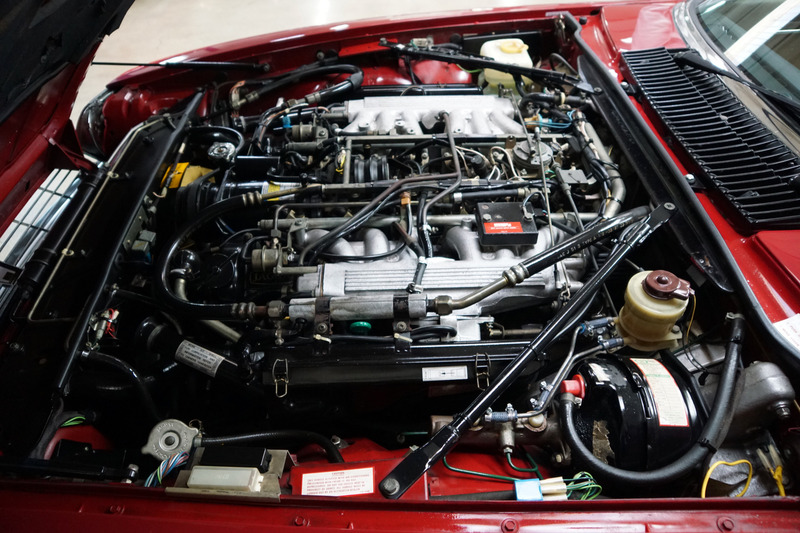 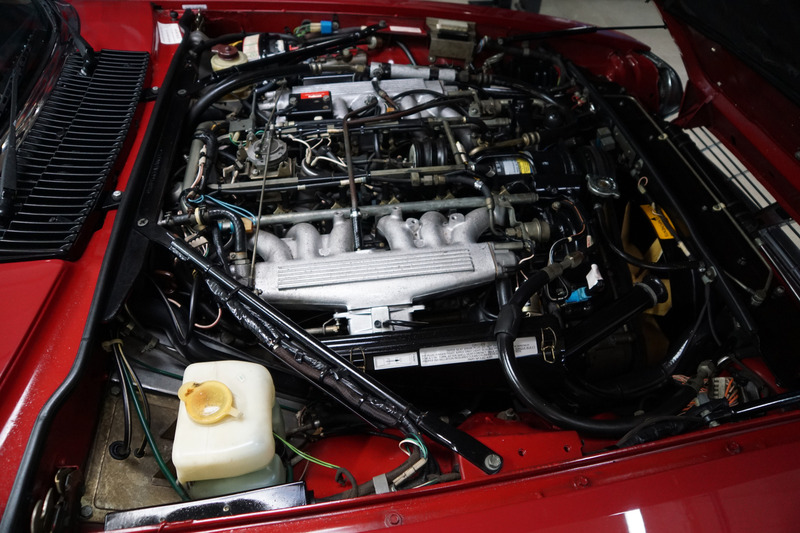 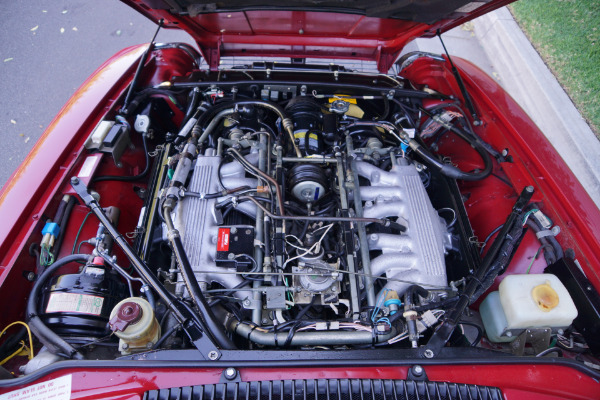 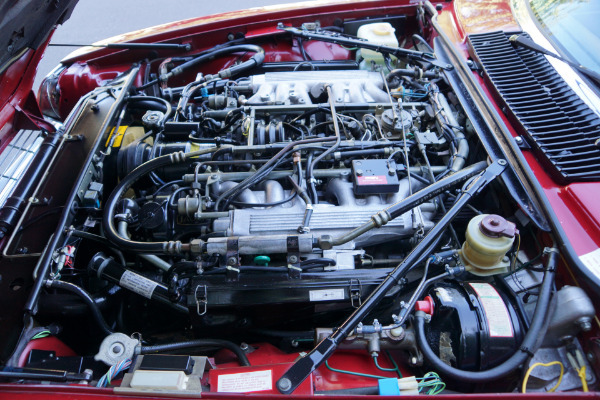 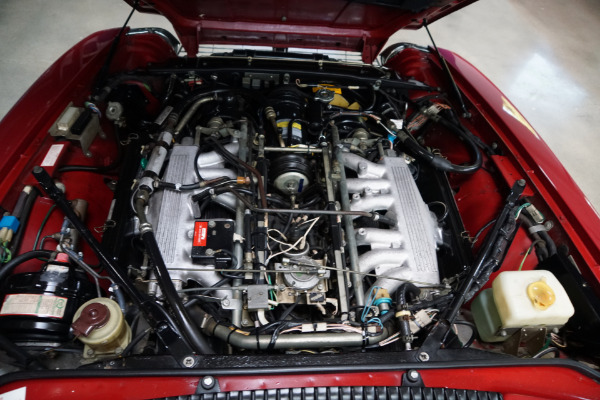 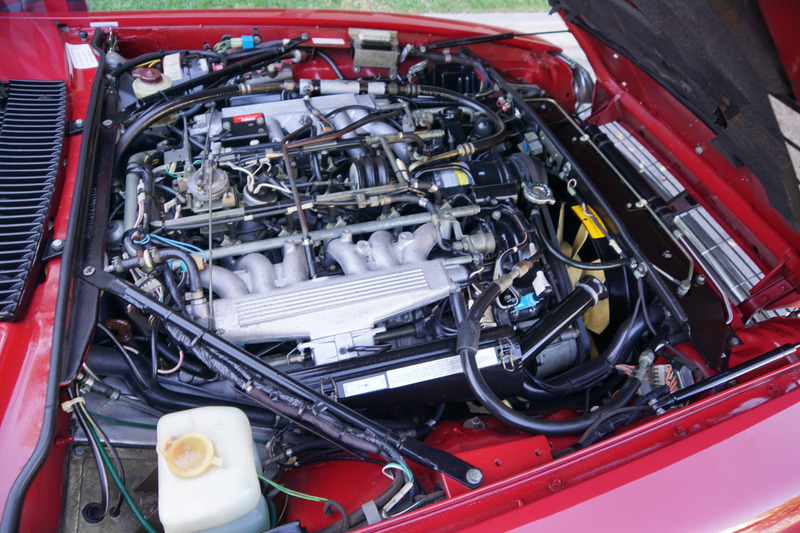 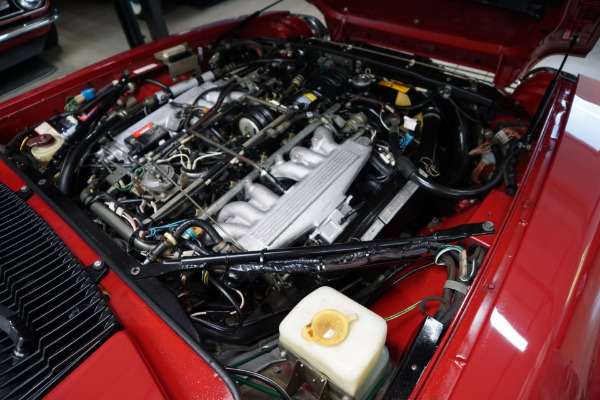 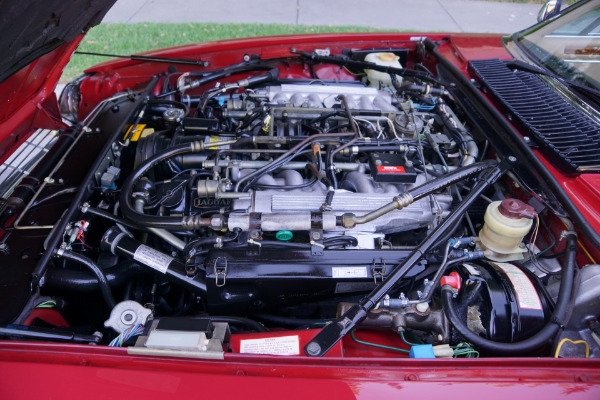 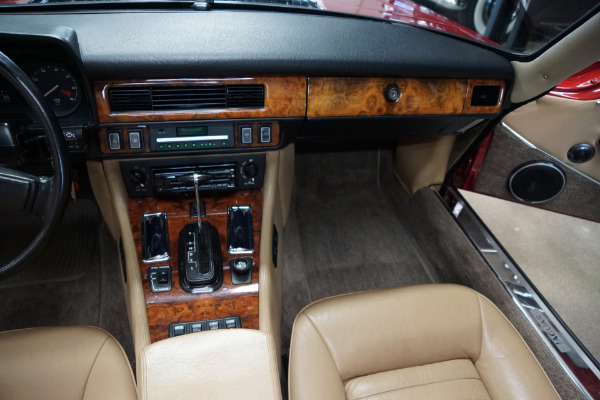 V12 engine was a worthy successor to the XK series of Jaguar sports cars dating from the late 1940's and this particular engine is extremely strong and smooth running with excellent oil pressure and which does not burn or leak oil. 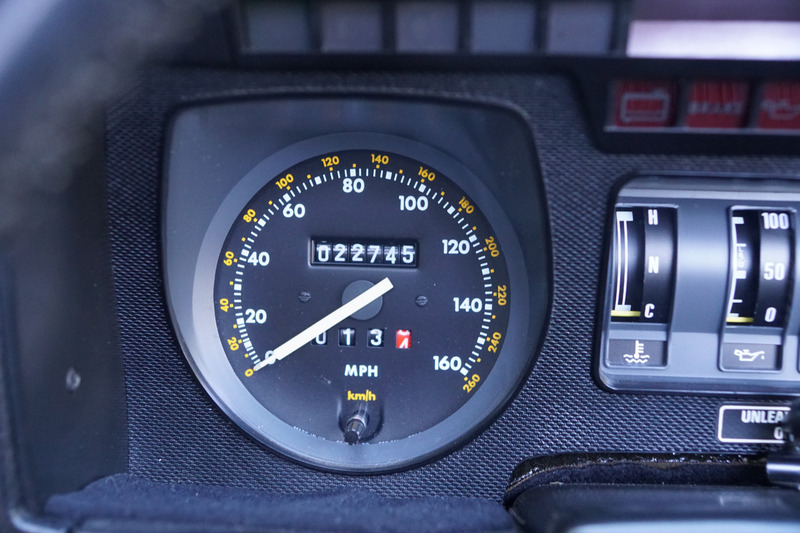 The temperature always remains cool and the car drives exactly like a V12 Jaguar with such low miles should! 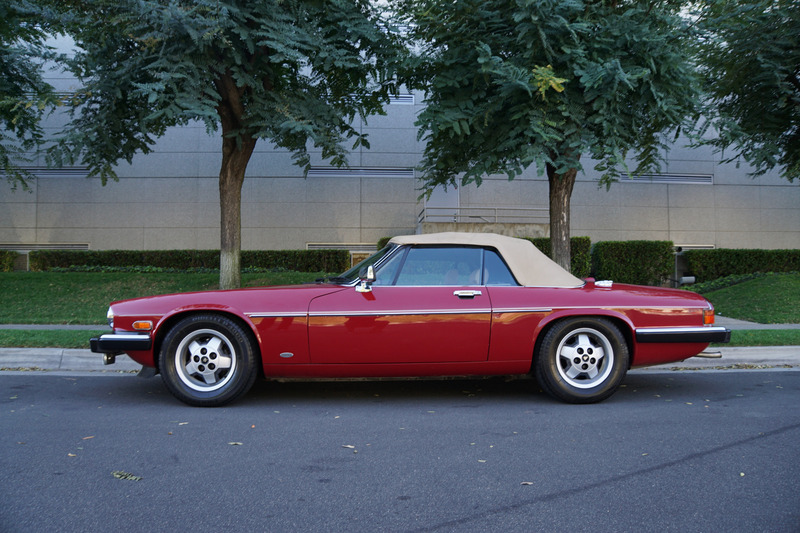 This clearly must be one of the very finest examples available anywhere of this classic and increasingly desirable and collectible rare and handsome V12 Jaguar roadster, a truly luxurious smooth V12 ride and one of the last beautiful hand built cars from Jaguar's legendary Browns Lane, Coventry, England plant. 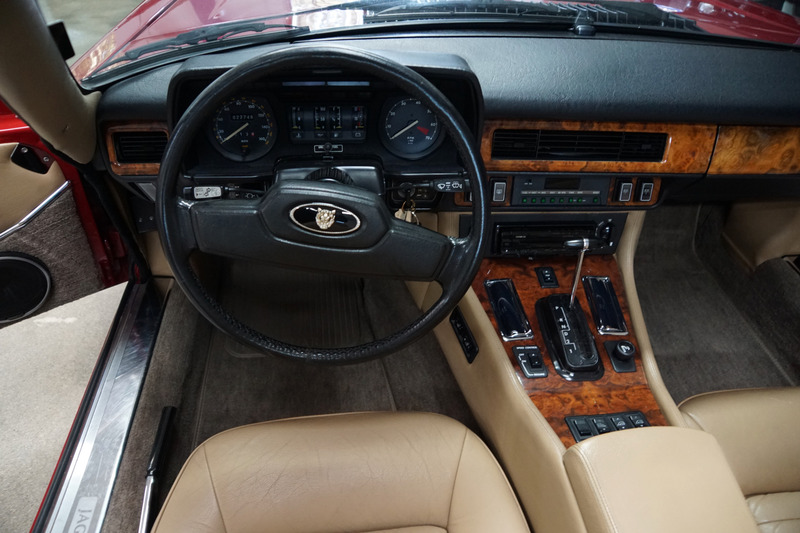 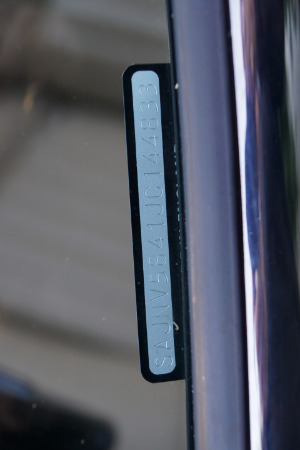 This is the last classically beautiful design built by Jaguar in their long and famous history of classic lines - with these particular 'Hess & Eisenhardt' models becoming increasingly hard to find in such all original condition and with such low original miles and with this car having the benefit of obviously very rare and careful long time family ownership! 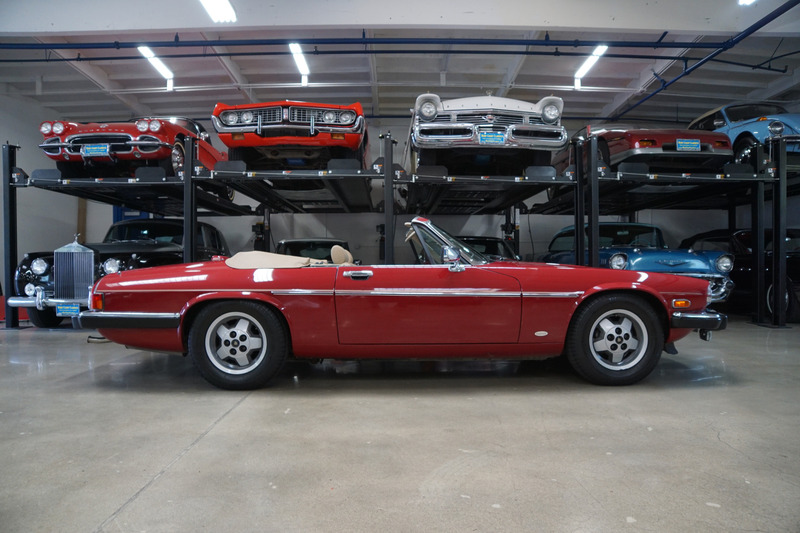 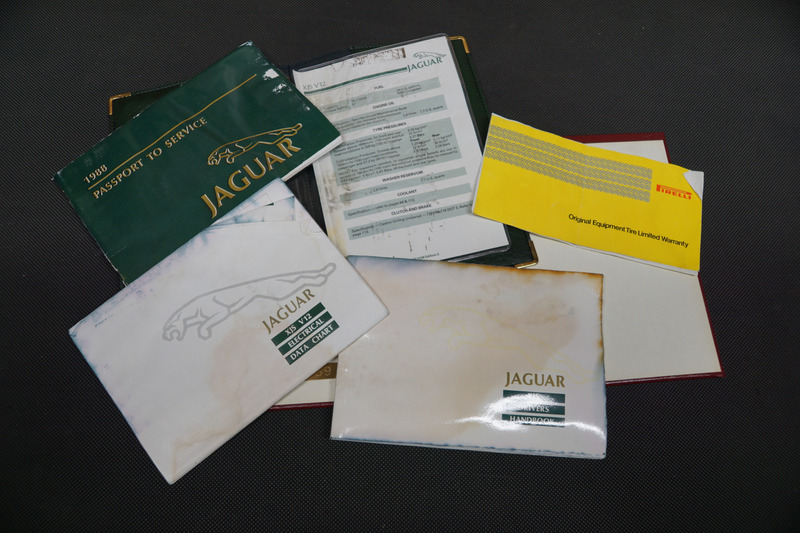 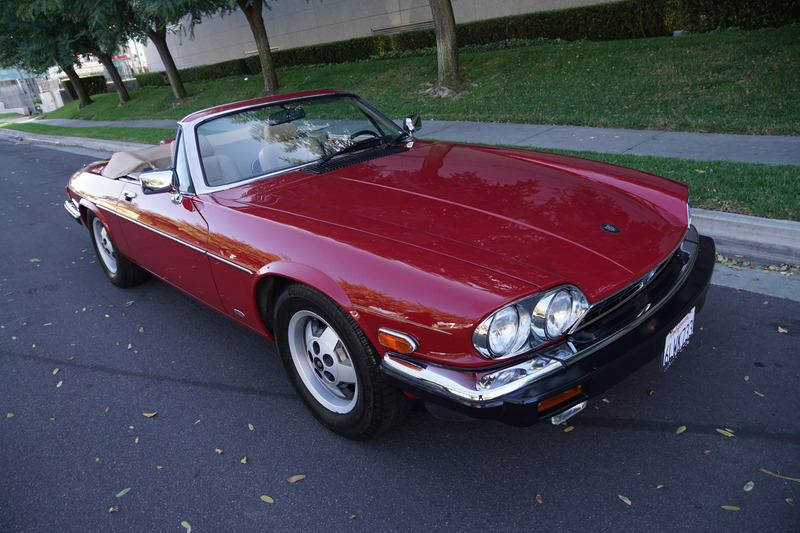 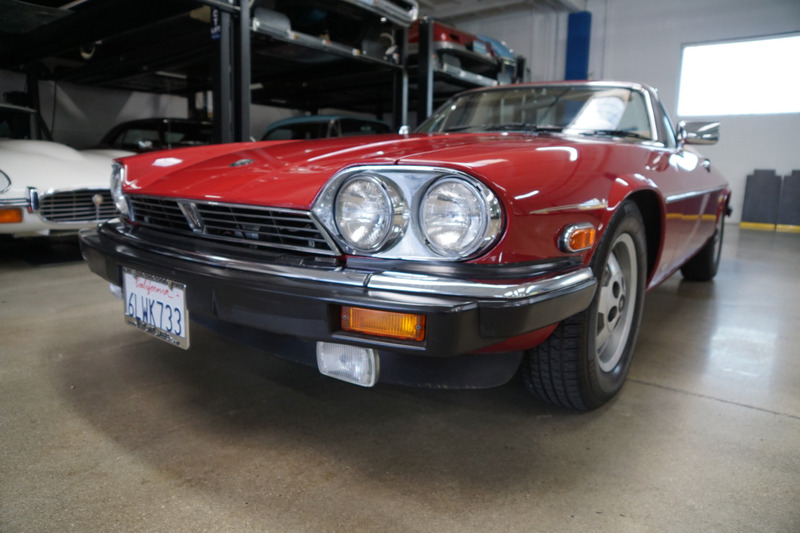 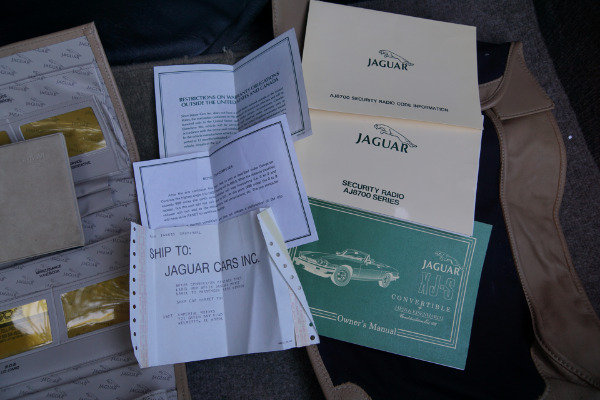 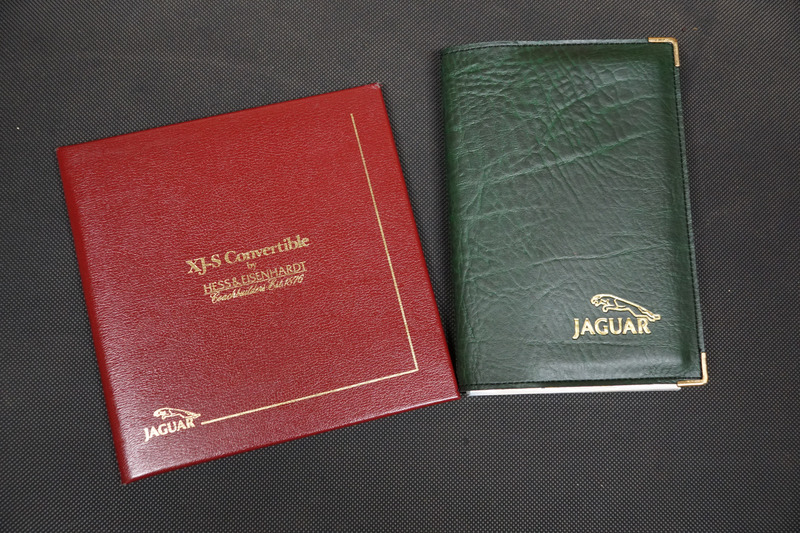 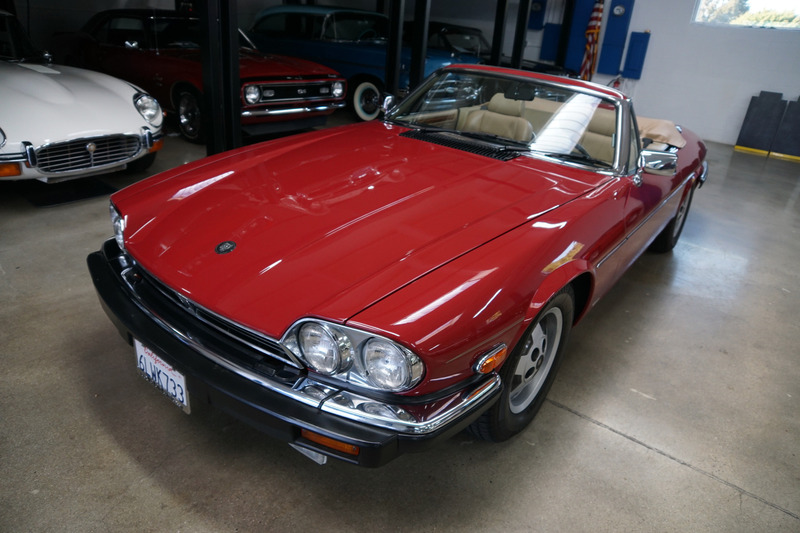 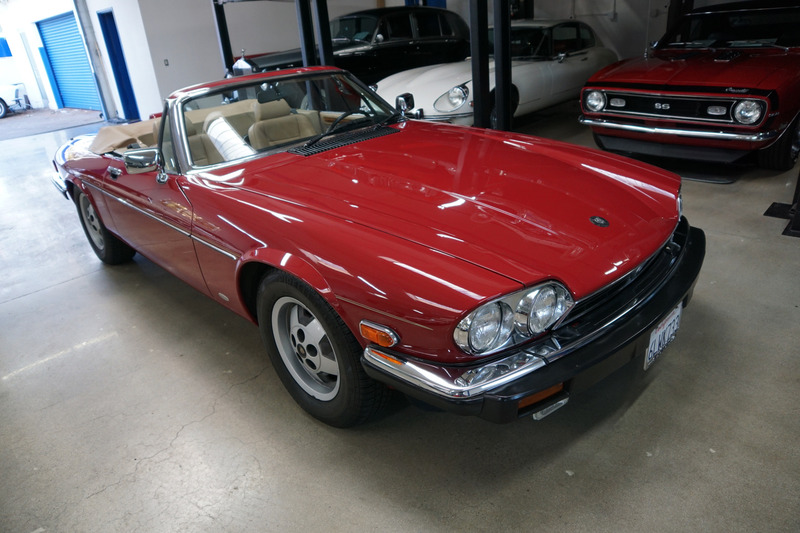 This is one sure-fire classic car investment for the Jaguar enthusiast or simply any classic car lover! 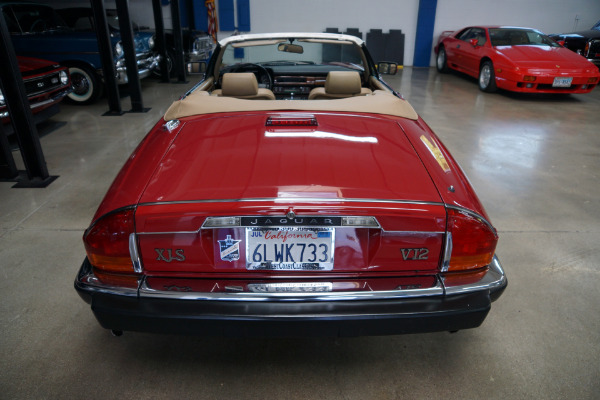 You will certainly look long and hard to find a finer example of this immaculate and very rare 1988 Jaguar XJS V12 Jaguar roadster convertible by 'Hess & Eisenhardt' with no history of any accidents or rust and a clean Carfax report and boasting exclusive one long time family ownership and with only 22K original miles available anywhere else!